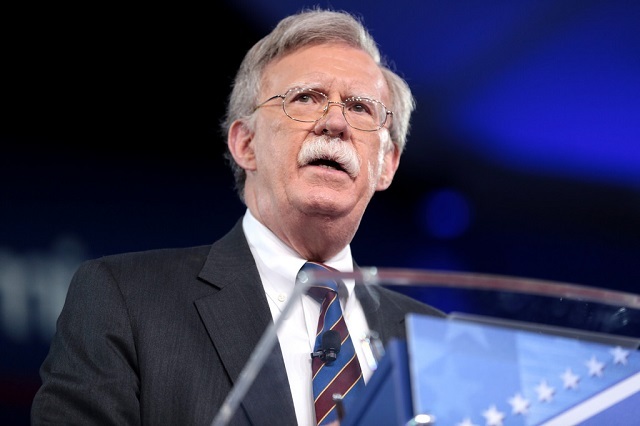 Michael Rozeff says President Trump appointed John Bolton not because he wants war, but because Bolton's hawkish stances will make other nations more likely to make deals. Trump does not want war with Iran, North Korea, Russia or China. He wants deals. Trump is not your usual war/peace politician or president. He thinks in terms of deals that bring advantage to his side. Why then appoint Bolton to replace McMaster, when Bolton is reliably pro-war? Why appoint Bolton when he is so often wrong in his analyses and recommendations? Trump makes appointments on the basis of whether or not he expects them to help him to make deals. He fires people when he thinks they no longer are helping him make deals or when they’ve become an obstacle to his deal-making plans. Trump thinks that Bolton’s view of countries like North Korea, Iran, Russia and China as antagonists combined with Bolton’s readiness to make war will enhance his own bargaining power with those countries as he attempts to make better deals than at present. Bolton threatens. He makes extreme threats consistently. That’s why Trump wants him at this juncture. Bolton’s threats scare everyone. It even helps that he gets things wrong and still stubbornly doesn’t back down from his recommendations and threats. Bolton is the bad cop to Trump’s good cop. Bolton gives Trump enhanced credibility that he’s not bluffing as he bargains to achieve a different world order. Trump is not building a war administration. He’s not preparing for new wars. He’s trying to reposition the U.S. role in the world. He still wants to talk with the leaders of all these countries, his goal being better peacetime deals, as he sees them. Won’t these countries see through this appointment as a ruse? They cannot. I cannot be sure that my interpretation is correct, and neither can they be sure of the meaning of this appointment. The uncertainty in making the deals has risen, and apparently Trump views that as to his advantage. He can bargain to restrain the war-mongers here in America in exchange for what he wants. In October 2017, Axios reported Trump told his staff to portray him as a "crazy" guy to make the North Koreans think he could do anything. As we know now, it actually worked.